Influencer Marketing: How Can It Help You Grow Your Business? Okay, but What Is Influencer Marketing? My Business Is Growing at a Steady Rate, Why Do I Need Influencer Marketing? How Can Sending One Email Grow Your Business? And How Exactly Can It Change Your Business? Are You Ready to Get in Touch with Influencers in Your Industry? With new rags to riches stories filling your Facebook feed every day, it’s hard to believe that more than 50% of startups fail in the first four years. As if this fact from Small Business Trends isn’t hard enough to swallow, the statistics after that initial period just get worse. The reasons reported for failure range from incompetency to scaling prematurely, and everything in between. Being the co-founder of a startup SaaS, these numbers should shake me to the core. Fortunately, we’ve found a way to work through the marketing struggles faced by all small businesses as they try to put their brand in front of potential customers. One of the key channels for our growth is influencer marketing. The basic idea behind influencer marketing is that you connect with someone who has an established network within your industry. You want to take advantage of their celebrity status and credibility to spread the word about your products and services. Influencers are often mainstream celebrities or industry leaders. Those making waves with new technology or improvements to products and services. Whatever their role within the industry, influencers all have one common theme —a large network of followers. They have the ability to get a brand in front of a very large (and captive!) audience with a single post, tweet, or shout-out. But you need influencer marketing to get that result. While this type of marketing has been around forever, the methods of connecting with these influencers have changed tremendously. This is largely due to the increasing number of influencers that are available within each industry and the ease at which we can contact them through email or social media. You no longer have to be royal, famous, or a long distance cousin in order to reach out. All you need is the ability to write one incredible email. Congrats! I’m so glad your business is growing. But is that enough? Are you content with steady growth or are you ready to find that one factor that will take your business to the next level? 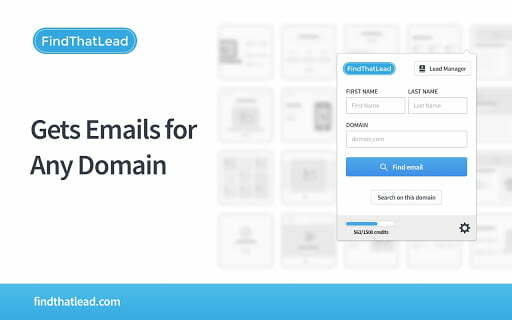 When Cristian and I began working on FindThatLead, we set a goal of reaching 5,000 users as the initial benchmark for success. From day one, we watched as the number of users began to slowly trickle in. While we were happy with growth, it wasn’t quite enough to reach our goal in the timeframe that we had planned. A fellow entrepreneur who knew what Cristian and I were working on, sent me a link to a video. When I opened it, I saw a man with crazy shoes and flashy clothes pacing back and forth on stage. His look immediately caught my attention, but even more so – his words captured my mind. The man in the video was Vin Clancy. If you aren’t familiar with Vin Clancy, you need to be. Vin Clancy is a growth hacking game changer who went from being on government-funded welfare to building a website that had more than 1,000,000 visitors each month. He not only believes that you can grow your business online without a giant marketing budget (aka paid traffic) but will actually teach you the methods behind how to do it. The fact that he had figured out a way to grow his personal network and drive traffic to his websites without paid advertisements made me realize that he was a very credible source. I immediately began devouring all of the information that I could find from Vin, his way of doing marketing, and how he found success. 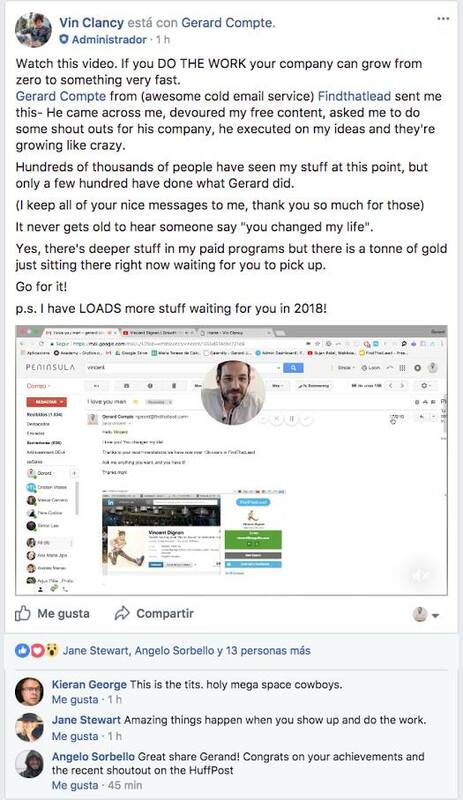 The amount of detail that he includes when showing others how to stand out from the crowd and use Facebook in a way that will massively increase your engagement, is quite incredible. And this is all just from his free content. I did as much research as possible, but I couldn’t sit still with that information. I had to take action and immediately applied everything I learned to FindThatLead. Our influencer marketing campaign had started, without us even knowing. Vin not only opened my email but he replied. I was so happy to see his response and thankful for the opportunity to share my story with him. I explained how I had applied his methods to my own business and we’d seen true growth! I was so proud of what we had accomplished, but I had no idea what was coming next. He said that he loved my email and asked if he could use it publicly. My answer? YES! Of course. I told him about all of his methods that I applied to FindThatLead and that our growth rate went crazy. We doubled our MRR during 2017 and 2018 looks as promising. Because he was so impressed with how we had applied his methods to our business, Vin Clancy gave me and FindThatLead a huge shout-out in his Facebook group Traffic and Copy. This single email had a huge impact on my business. Two ways. First, it showed me that doing influencer marketing was possible (and low-cost) A little intimidating, of course, but within my reach (and within yours!) All you have to do is try. Second, it helped me create a new step in my daily routine. Every day I send one incredible, personal, hand-crafted email. I make one attempt to connect with someone who I may not otherwise have the opportunity to introduce myself to. If you’re interested in learning more about why I do this, you can read more here. When Vin Clancy gave us a shout-out in his Facebook group we immediately saw a huge bump in traffic. And it wasn’t just any traffic. 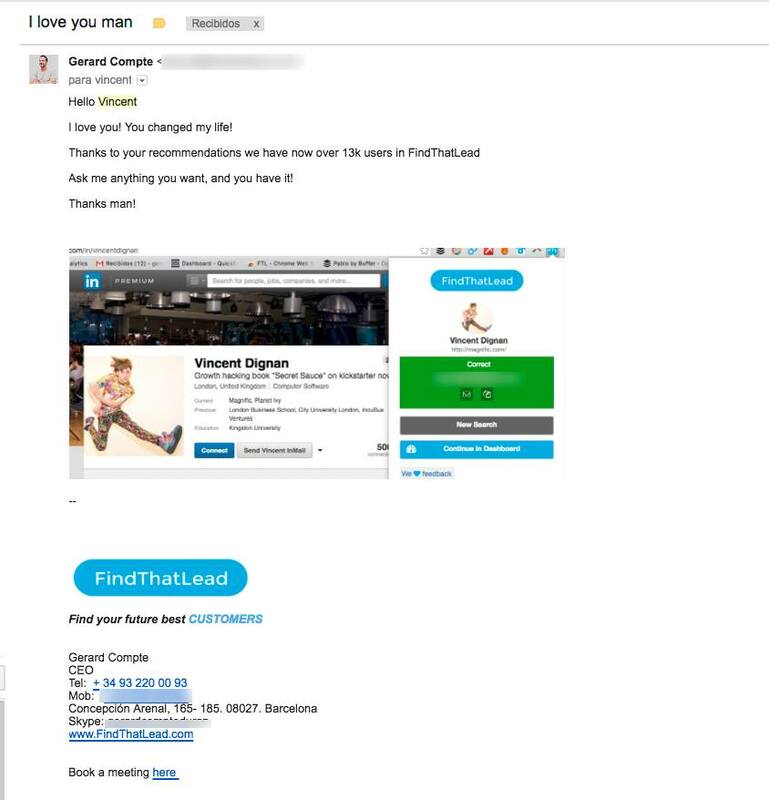 He is an authority in the Growth Hacking space, so he sent us qualified traffic that wanted to subscribe to FindThatLead. It was amazing. This one man’s opinion is like gold when it comes getting people to take action. We’re still super thankful for the shout out and have continued to apply Vin Clancy’s ideas for growing our networks and increasing Facebook engagement for FindThatLead. We created our own Facebook group Growth Hacking & Outbound Marketing based on his ideas. The group —sitting at +12K members— is a constant stream of leads for the company. It’s remarkable. This amount of growth in such a short time has given us security in knowing that we have beaten the odds and FindThatLead is going to be around for a very long time! While that is a very good feeling and we are excited to share this with our users, we are not going to sit content with what we currently have. Cristian and I (and our entire team at FindThatLead) know that our product helps solve the needs of many people around the world, so we come into work every single day seeking out opportunities to make new connections and continue growing. For those reasons, I will continue writing daily emails and upping my influencer marketing game for as long as I am able. There’s a Vin Clancy in every industry. Yours may not be as incredibly dressed, responsive, or as fun as the one that I get to network with, but the point is still the same. There is a person out there that can change your life. That will help you grow your business. There is a game changer. Someone who is making waves in your industry. They likely already have everyone’s attention and are making the headlines because of their success. You need to learn from them. You need to connect with them. You need to send them an email. Influencer marketing is just one email away. 1. When you start to drift away from one-off marketing tactics and instead focus on building solid relationships, your mindset will change for the better. Why? Because you’re no longer trying to simply sell to everyone you meet. Rather, you’re working on developing a two-way dialog in order to grow your relationships. This will not only allow you to find success when connecting with influencers, but it will also help you serve your customers better than ever before. If you’re just starting out, your social media network may be limited. It can take a good amount of time for your channels to grow. Rather than waiting for growth to happen organically, why not build off a captive audience that has already been created (and is currently maintained) by someone else [read: influencer]?! Everyone wants a personal referral these days. This is because they trust that if you had a good experience with a certain company, they most likely will also. When an industry leader personally backs a startup company, they are creating a level of validation that would take years to establish otherwise. They’re telling their entire network that you are okay to do business with. This is a big deal, folks! 4. Marketing campaigns with social influencers do not have to be expensive. We want you to make a real connection on a human level with the leaders in your industry. This requires far more than asking to see the rate card for a professional influencer. While you may have to work a little harder in order to get that person to share your information with their audience, the result may actually turn out better than a paid campaign. While ads are often tuned-out, when a real person shares their honest experience with an organization, people listen. They want to know more. They visit your website. They buy your products and services. They grow your business. 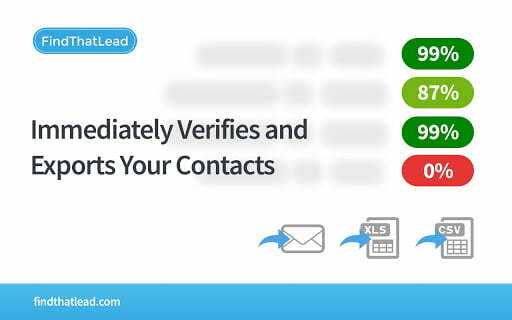 Here’s what you need to do… get ready to send one amazing email. End of story. We’ve talked about it before… this is the perfect way to grow your business with zero ad budget. Do a little research and make a list of the top influencers in your industry. Maybe 20 people if you can come up with that many. Next, gather their email addresses. FindThatLead can totally help you here! Once you have a solid list, start writing. 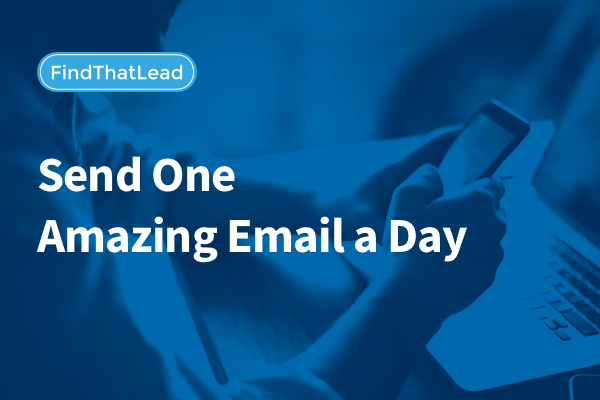 One email every day, starting at the top of the list and moving your way down. If you get excited and are ready to push forward, go ahead and send more than one a day. Either way, start sending amazing emails today. #EmailHack: Don’t forget to keep things light and make it personal. Your email does not have to be perfectly written or formatted, but it does need to help you make a connection. Be sure to add a personal photo or GIF to keep things fun! Here’s another tip to get an influencer to notice you and your brand. After you’ve sent your initial email, give them a shout out! Write a blog post or post on Facebook about how they influenced your marketing strategy, how you applied their methods to your business and found success, or just talk about how much you admire what they’re doing in the industry. Whatever it is, a complimentary shout-out on your end to the influencer of your choice is an excellent way to get someone’s attention and invite them to build a relationship with you. Once you have made that connection, don’t be afraid to ask for a favor. During my initial conversation with Vin Clancy, I asked if he would be willing to give FindThatLead a shout-out in his group. There was no lengthy proposal or exchange of funds. I simply asked for something that I really, really wanted and thankfully, he said yes. Finding growth is all about momentum. You need to get the ball rolling somewhere and that’s quite a feat for a startup business to do on their own. Getting one shout-out from an industry influencer will help put your business in the spotlight and get you on the road to success. I want you to know that Vin’s support did not end with the one shout-out in his Facebook group. He now mentions FindThatLead in all of his talks! How incredible is that?! If you aren’t already part of it, you should drop everything you’re doing right now and go join his Facebook group, Traffic and Copy. 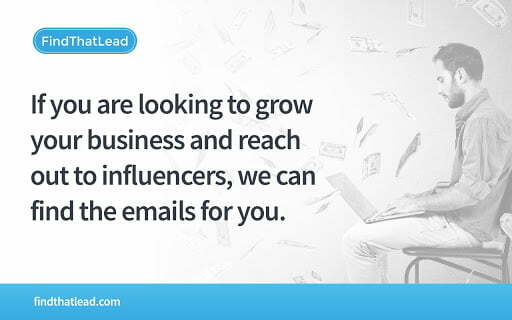 Start connecting with influencers today! 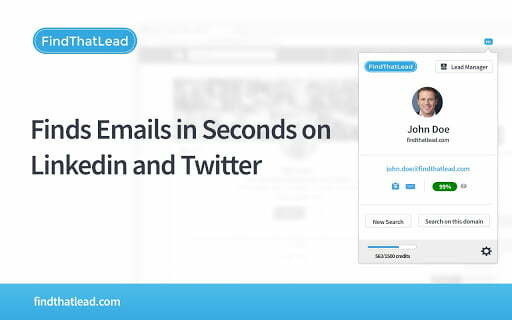 Create a free FindThatLead account and get the emails of the biggest influencers in your niche.